I designed this back board taken from that plate in the book on page 325. 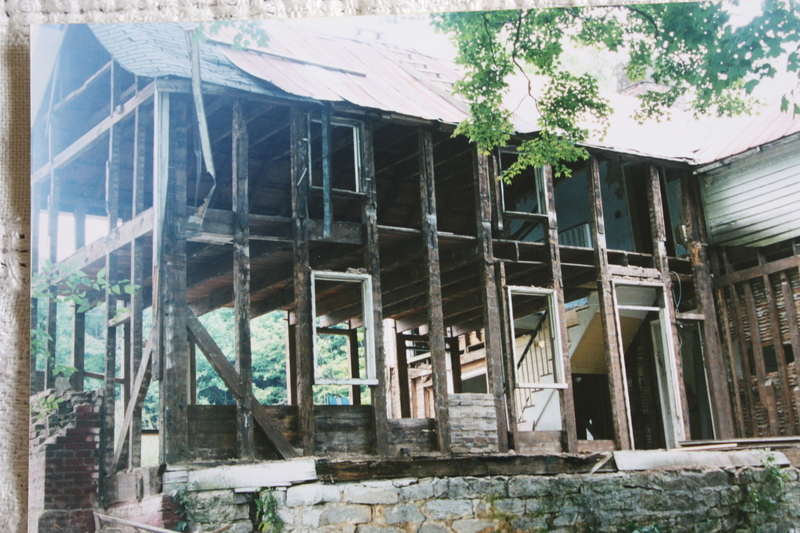 I had some very old mahogany circa 1840 that I worked into the new back board. At first the inlay looked very impressive but the more I looked at it something wasn’t quite right. 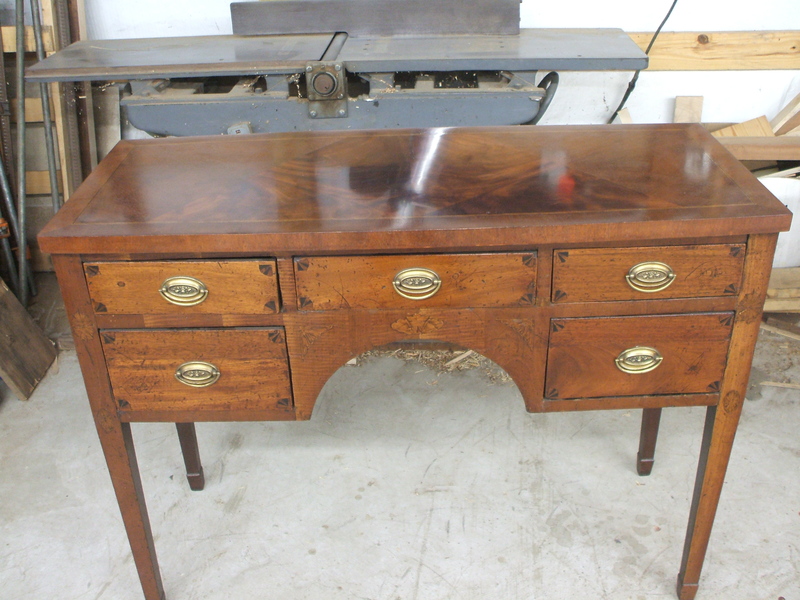 I believe that the birds -eye maple ovals , circle and broad line inlay on the case , drawers, and doors was added later. 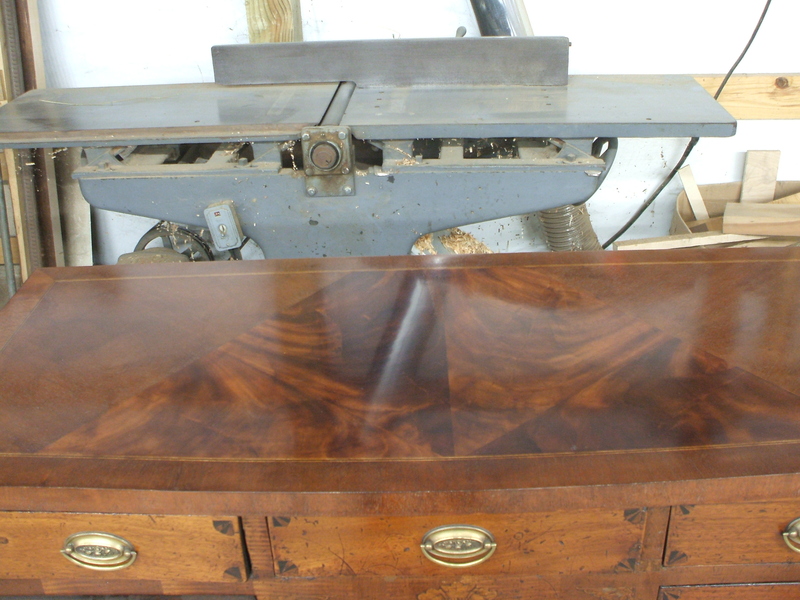 Also the broader inlay over the drawers was later. 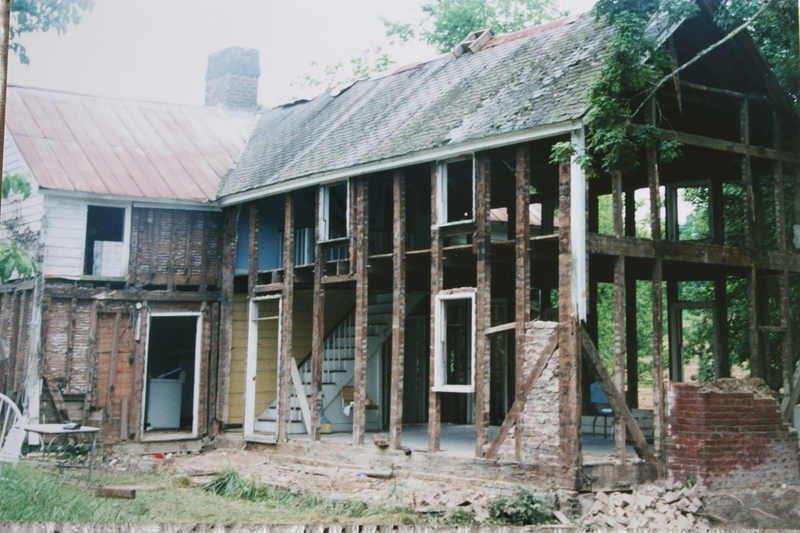 The reason for this is because of the poor craftsmanship of the insetting as they were put in. 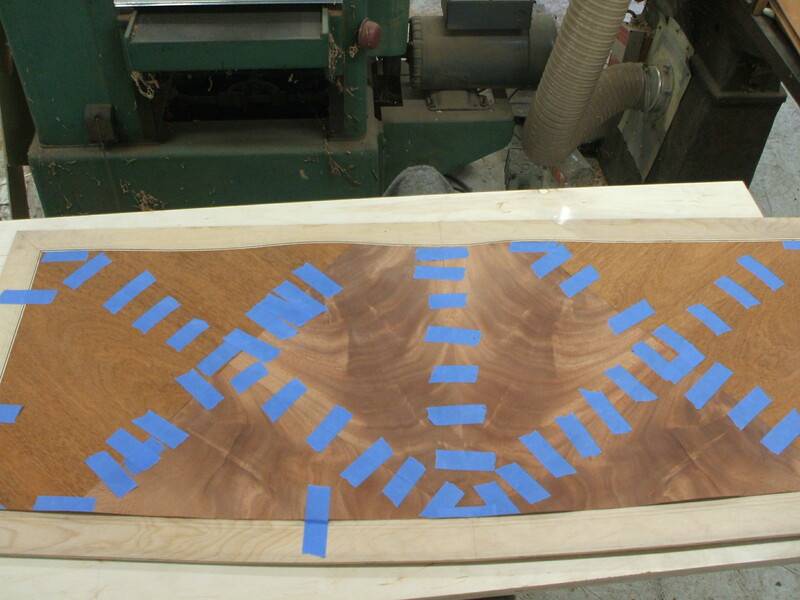 In my opinion there are too many gaps and too much filler between the inlay and the mahogany veneer I do believe that the narrower (1/8″) vertical inlay and the cross banding inlay in between the lines are original to the sideboard. 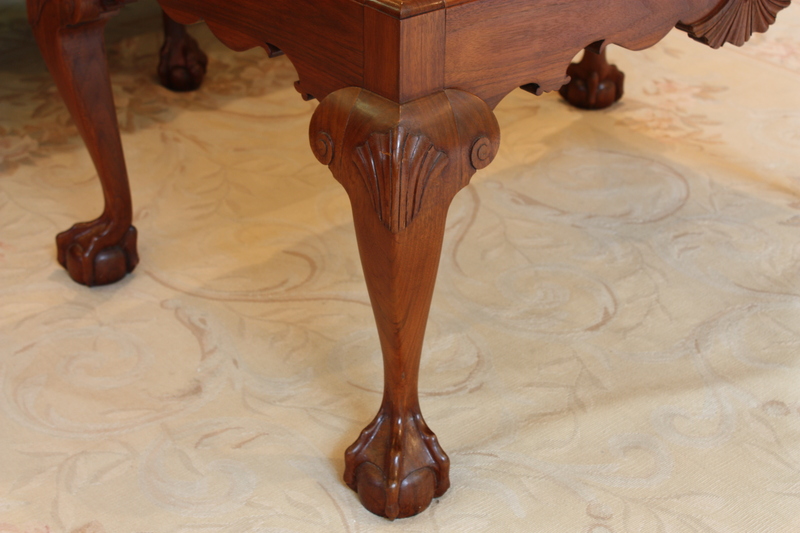 The vertical line inlay is made up of three layers of holly, walnut, and holly or maple, mahogany, and maple . It is very hard to identify the wood in the inlay. 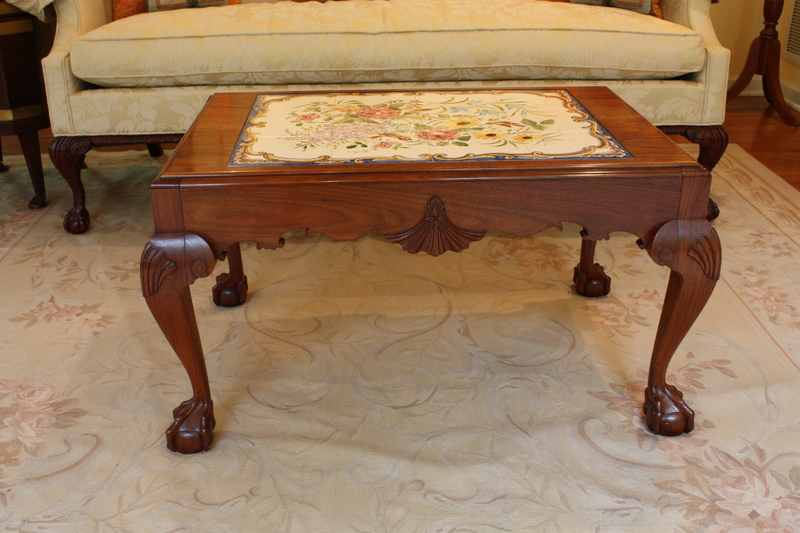 This is a coffee table made out of walnut that I did for some clients. The clients had found the tiles for the top while in Europe. They contacted me to design a table for the tiles. Their sofa has ball and claw feet and this table was to go in front of it so I suggested we carry that into the coffee table. This is a close up of the leg. It takes me eight hours to carve a ball and claw foot , for the foot alone. 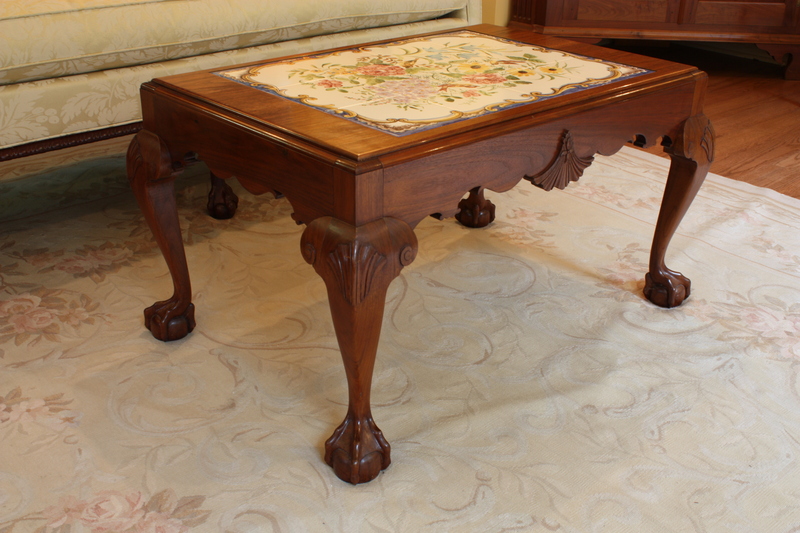 The total time in this table was 120 hours. I scrolled the apron to match the c-scrolls in the pattern of the tiles. Sat. Feb. 25 ,20012 from 1pm to 5 pm I’ll be doing a router workshop. The router is a work horse in the shop. It will be more demonstration but will include some hands on. 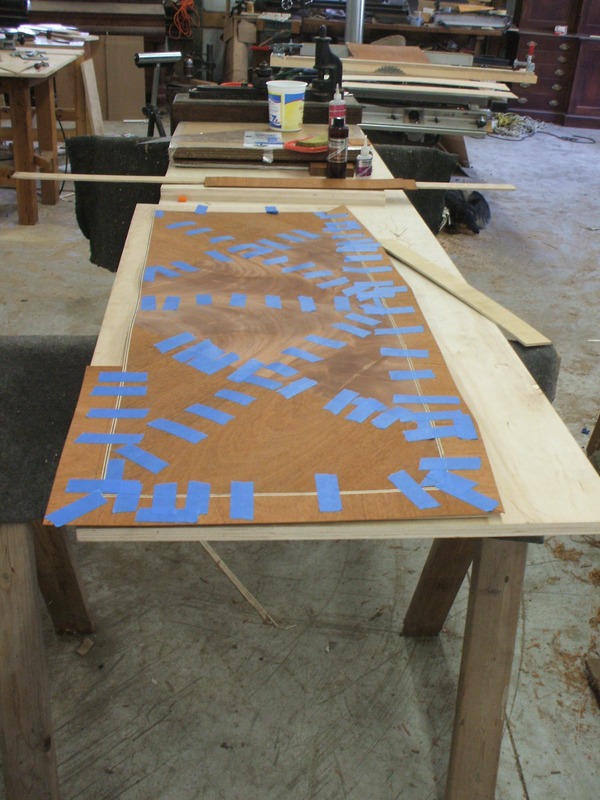 The workshop will cover router safety, router tables, jigs & fixtures, raised panels, doors, dovetails, molding, pattern work, and free hand router use. The class will be limited to 8 people. Each person needs to bring safety glasses and hearing protection. Cost will be $75.00 per student. If you ever towards Clinton, TN, it’s a short drive to The Shoppe at 350 Market. Worth the trip, Sandy has a collection of Antiques, and Fine Art and garden accessories. Please check out his shop at, you guessed it , 350 Market street in downtown Clinton TN. Please take a look at her wonderful work at Cornerstone Creations, LLC in Charleston, SC. As well her blog “Wood Carving Journeys” for all her current projects. The sideboard has a new top. The new top has been put on the base. Close up of the new top. I want to start sharing the number of hours that it takes to complete a project. 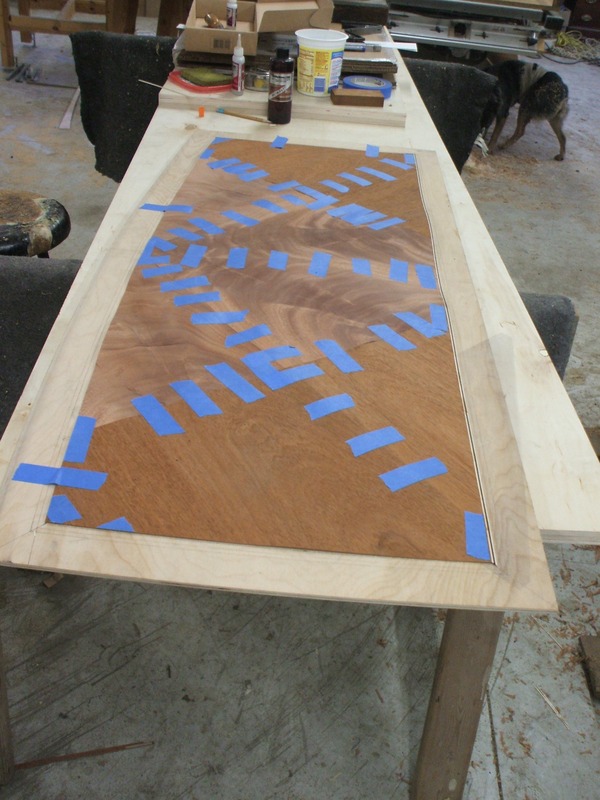 On this top to veneer it up, start to finish, was 57 hours. I hope this will help others to make better estimates on similar work. I may go back to older post and give the hours on the work. 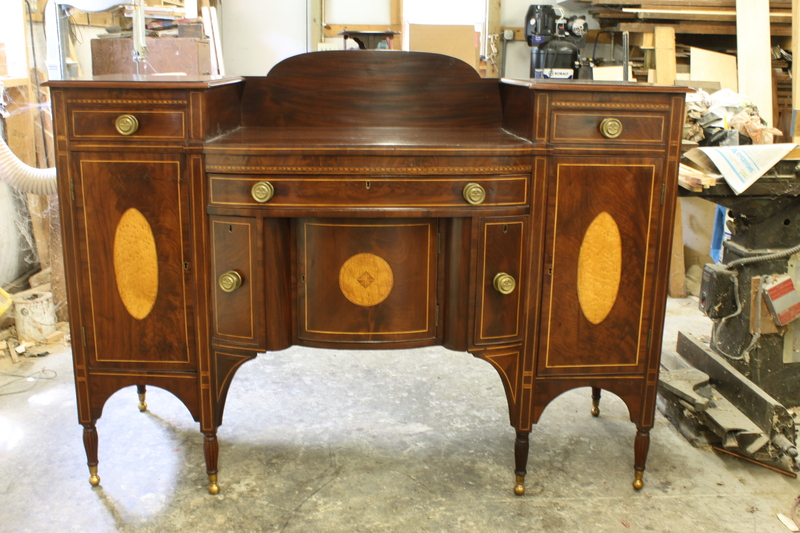 January 16, 2012 | Categories: Veneer Work | Comments Off on The sideboard has a new top. The top came out of the veneer press perfect. The vacuum press does a wonderful job by applying an even pressure of 1200 lbs. per square foot . After doing a full size layout I made four different templates to cut out the pattern. I use blue painters tape to hold the parts together. All the veneer was sized before cutting. This makes the veneer more flexible when handling and cutting. After the main pattern of the top was taped I added the inlay. The last step was to add the cross banding to the top. Then it went into a vacuum bag to be pressed until the glue sets. I use a two part resin glue for gluing.